Dairy Queens got a new value menu, and they’re pimping it by having a contest. Since I’m all for free things and ice cream, I’ll do it! What deal would I make with Dairy Queen to check out their Sweet Deals? Well, I would show Dairy Queen just how sweet I can be. Dairy Queen! I will take you out on a date. It would consist of taking you to yourself, getting a Sweet Deal (because I am sweet and also cheap), arguing with you about getting free Blizzards, and complete the night with an awkward hand shake, never to call you again. What can I say? I’m a hopeless romantic. The site is geared mostly towards developers and includes the TouchSmart Software Developer Guidelines. They’re currently having a contest for the best touch applications. 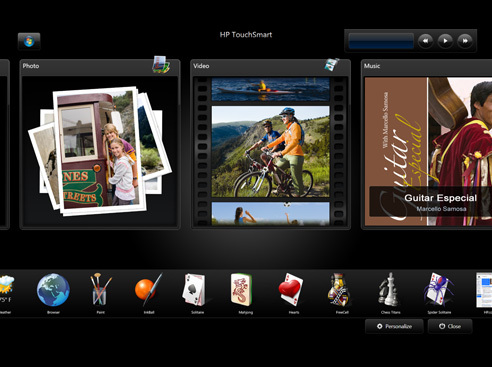 Runner-ups will receive a 22″ TouchSmart PC and their applications will be shown at CES 2009. The grand prize winner will receive a 25″ TouchSmart PC and will get the chance to go to CES 2009 themselves to show off their work.